As you get a head start on planning a destination wedding in Mexico, it’s important to keep your travel plans in focus so that you don’t forget critical paperwork. A wedding has plenty of details to manage as is, but foreign travel combined with a wedding can make it easy to miss important details. Mexican Auto Insurance by Mexican Insurance Store.com is important for any foreigner driving in Mexico. Research costs and options for Mexico auto insurance at MexicanInsuranceStore.com early on in your planning process. Mexican Auto Insurance by Mexican Insurance Store.com is now required for travel on highways in Mexico. Passports – all foreign visitors to Mexico will need a valid passport or passport card to return to the U.S. Driving across the border without a passport is a big mistake and could create some serious delays in your ability to get home. Marriage licenses – unlike getting a marriage license at home, you will find that dealing with public offices in Mexico can be confusing and time-consuming. It’s wise to work with a wedding coordinator to learn how to have a legal Mexican wedding. Marriages that are recognized by the government are performed in a civil setting, and ceremonial weddings are more for symbolism than legality. Time, health tests and money may be required to complete the formal ceremony before following up with a themed wedding. Contracts – if you are working with a wedding coordinator in the country, you will want to bring copies of your contracts or other agreements so that you can check for details as final arrangements are made for the big event. Your time in the country just prior to the symbolic ceremony may include the need to get around from location to location as tests and paperwork are completed. Make sure that your Mexican Auto Insurance by Mexican Insurance Store.com is intact for your entire time in the country. Mexican Auto Insurance by Mexican Insurance Store.com comes with Roadside Assistance at no additional charge. 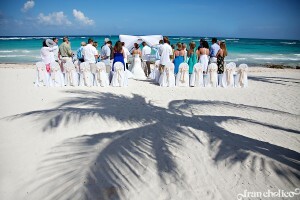 Mexico is a superb place for couples to get married or finding a decent wedding location if you have good money. Be well researched for such as accommodation etc. Make sure you’ve got the best Mexican insurance package, however in case of forgot, go online its fast.